Rent reporting service CreditLadder and Nationwide Building Society are working together to get first-time buyers onto the property ladder, Jane Connolly reports. 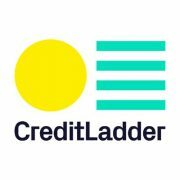 CreditLadder, which is backed by HM Treasury, tracks tenants’ rent payments to help them build their credit history and access better rates on credit cards, loans and utilities. By analysing the income and expenditure of users, CreditLadder can prompt qualifying tenants to apply for a Nationwide mortgage. According to the firms, this is the first time that data accessed via open banking has been used in the UK to help people qualify for a mortgage. “Working with Nationwide Building Society is a key plank in our plans to help those who dream of owning their own home to realise their aspirations,” says Sheraz Daz, CEO of CreditLadder. There is no guarantee that eligible mortgage applicants will be accepted, but those who aren’t will receive periodical checks to see if their circumstances have changed.